Looking deep into a horse’s eye lets you touch your soul! 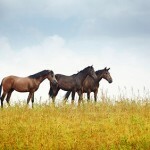 The horses provide a powerful pathway to reconnect with your divine consciousness. This compelling connection between horses and humans stimulates a higher vibration leading to a higher consciousness for both humans and horses. Humans realize a grounded divine awareness and horses access a higher level of awareness of their own collective species’ wisdom. This harmonizing of wisdom continues to expand the bonds between horses and humans and together we journey to a realm of new possibilities. 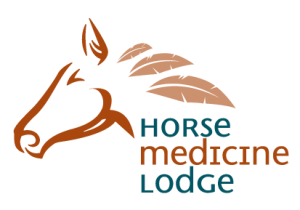 Horses have touched our souls and we have created a special website www.HorseMedicineLodge.com to represent our spiritual offerings. Check out our two year Wisdom Circle program. The Wisdom Circle Path offers you an opportunity to expand personal potential through the ancient teachings, ceremonies and healing practices passed down from the wisdom of the indigenous peoples of North and Central America together with the powerful medicine of horses. Discover the luminous world of energy and spirit through ancient shamanic teachings and the present day wisdom of the horses. Shamanism is the oldest living path of spirituality and healing. Through a deepening level of energy awareness, you can venture outside time and space to connect at the place of the sacred. Find the healing place of peace and understanding in the connection with something greater than yourself. The conscious engagement of our masterful horse teachers facilitate achieving balance in this physical reality and traveling into the spirit world to help you on your healing journey. The horses ride between the worlds and become a willing mentor on your path to wholeness. They help awaken the seer within and open the door to meeting your mysterious magical self. Activities include: a Drumming Journey to meet your Horse Guide; numerous horse experiences; guided shamanic Horse Journey Walk; a purification or Sweat Lodge Ceremony; ceremony in our Kiva – a sacred inner temple deep in Mother Earth; horse healing circle. Includes lunches, beverages, snacks, all horse activities and matierials. $200 non refundable deposit holds your space. Horse Spirit Connections Inc. is a not for profit corporation. You do not require prior horse experience to realize the benefits of a healing connection with our horse partners. This was a rich weekend journey with horses and other people, leading to greater insight, greater awareness of one’s own inner power, increased respect for self and others. Dramatic, powerful, challenging – and a lot of fun too! Beautiful!